The Nvidia Maxwell GPU is a dedicated graphics card in the Microsoft Surface Book laptop. It is based on the Maxwell GM108 chip as the Geforce 940M with 384 shaders. 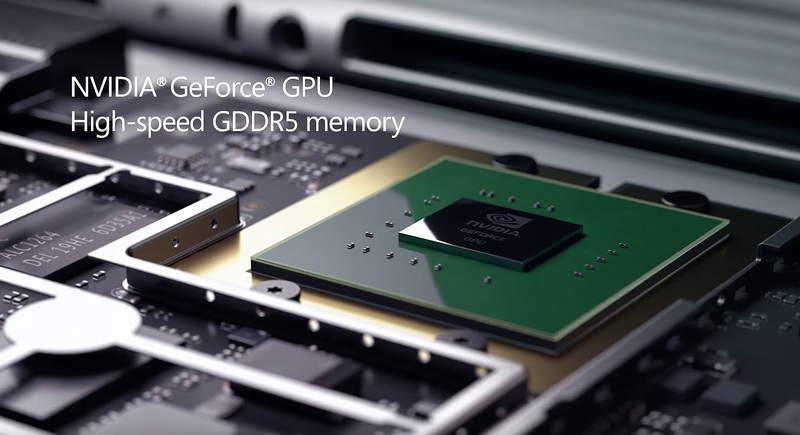 Instead of the DDR3 graphics memory, the Surface Book graphics card features faster GDDR5 memory (both 64 Bit though). Thanks to the faster graphics memory, the Surface Book Geforce is performing better than the average GeForce 940M. However, the 945M and GTX 950M are still noticeably faster. Demanding games therefore only run in low settings fluently. More details can be found in our extensive review of the 2015 Microsoft Surface Book with the dedicated Maxwell GPU.